U.S. Air Force veteran Keith Wagner speaks at a Tuesday news conference, criticizing Republican Senate candidate Kevin Nicholson. Photo by Chuck Quirmbach/WPR. More veterans are criticizing Republican U.S. Senate candidate Kevin Nicholson for his recent comments to a Milwaukee radio station about military veterans who are Democrats. Those comments led to quick criticism from veterans. 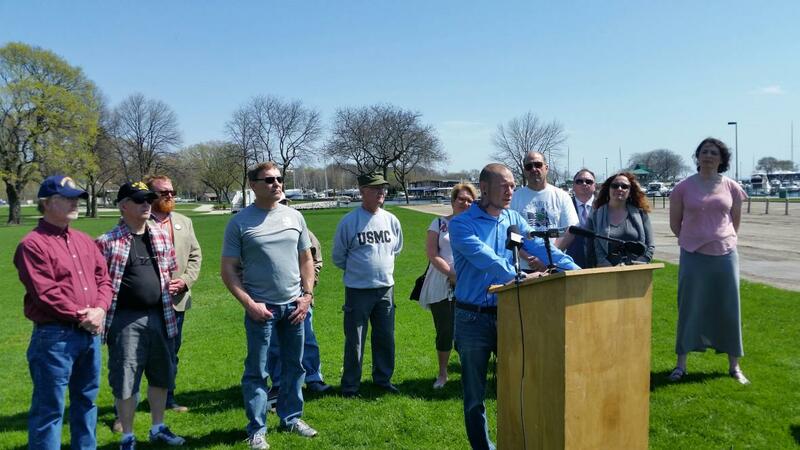 Then on Tuesday, the Democratic Party of Wisconsin brought about a dozen veterans together at Milwaukee’s lakefront to express their concerns to at least five local media outlets. Rebecca Solen, a U.S. Army veteran, kicked off the event. U.S. Air Force veteran Keith Wagner was also in attendance Tuesday and brought up the fact that Nicholson was previously active in the Democratic Party. “I understand that your past associations have caused you some problems with your prospective voter base. But it’s not OK to cut down other veterans to prove how Republican you are,” said Wagner addressing Nicholson. Some earlier comments from Nicholson have also irritated veterans who are Republicans. At an April 26 debate in Pewaukee, Nicholson said “certain politicians” don’t value military service, referring to his GOP primary opponent, state Sen. Leah Vukmir. Republican veterans later sent Nicholson a letter demanding an apology. The veterans who spoke at Tuesday’s news conference are asking for the same. 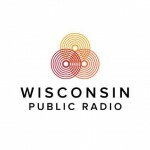 Nicholson told WPR later Tuesday that Democrats are trying to cover mistakes made by incumbent Sen. Tammy Baldwin, D-Wisconsin, on national security. Nicholson said he’ll never apologize for advocating for better securing the nation’s future. Nicholson and Vukmir are slated to compete for Republican Party backing at this weekend’s 2018 Republican Party of Wisconsin State Convention in Milwaukee. The winner of the Aug. 14 GOP primary is expected to face Baldwin in this fall’s general election. More Veterans Denounce US Senate Candidate Kevin Nicholson was originally published by Wisconsin Public Radio. Well Kevin N. Said he was the most Teump like in the race. He needed something to prove it.